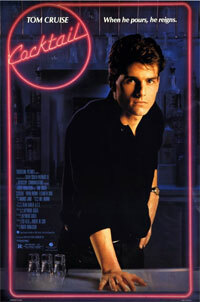 After leaving the Army, Brian Flanagan (Tom Cruise) tries to get a marketing job in New York. But without a college degree, this was not possible. He then decides to start studying for a business degree at the local City College and gets a part time job as a bartender. He realizes that its not that easy, but when his new boss Douglas Coughlin teaches him the secrets of the bar trade and they become the most famous bartenders in town. Both Brian and Doug Coughlin want their own top class cocktail bars someday and Brian's Cocktail Bar is to be called 'Cocktails & Dreams', and in order to get the necessary money to open it, Brian travels to Jamaica to work as a bartender at a resort Tiki Bar, and the pay is good. There he meets Jordan Mooney, a young and pretty, up and coming American artist on vacation with her girlfriend from New York, staying at the Island resort. Jordan and Brian spend some quality time together and fall in love. But when Brian takes a dare from his old buddy, Doug Coughlin to sleep with an older woman, who is also staying at the resort. Jordan, herself the daughter of wealthy parents back in New York, leaves the Island overnight, after seeing Brian and the older woman together after closing... Will Jordan ever forgive Brian and will they get back together? 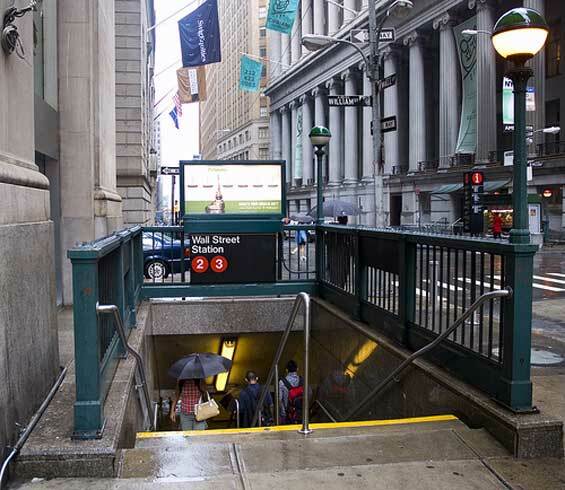 Wall Street Station, Wall Street and William Street, Manhattan. Baker Street Pub, 1152 1st Avenue and East 63rd Street, Manhattan. otsoNY Comments: Baker Street takes its name from the home of Sherlock Holmes. Sherlock Holmes and Doctor Watson lived at 221b Baker Street btw 1881-1904, according to the stories written by Sir Arthur Conan Doyle. The house was last used as a lodging house in 1936 and the famous 1st floor study overlooking Baker Street is still faithfully maintained as it was kept in Victorian Times. Broadway (btw West 67th and 68th Streets) Manhattan.